The Leadenhall Building will become the tallest skyscraper in the City of London, at a whopping 225 metres/52 storeys. Lloyds Building only twice the height! Click here to view the full planning report from the Corporation of London. Last edited by wjfox; December 1st, 2006 at 02:00 PM. Top quality perfectly designed skyscraper forming a pinnacle for the existing two before it is joined by Bishopsgate. Respected architect that I completely trust to produce a final product as close to the renderings as possible and a developer confident in their own work. Very happy to hear it's officially underway. The headlines read: 'another footballer is charged with sexual miscontuct'! Great. I would like to see a pic of Leadenhall as is now. They will first remove asbestos and dismantle the lower floors - apart from the core of course. First stage of demolition/construction of basement and substructure will take 60 weeks. That's as long as the enabling work at Willis and Broadgate. Right, I've "yanged" the World Forum thread (a technical term us mods use for shifting threads to the dustbin). I'll lock (rather than delete) this thread, then hopefully we can re-open it within the next few weeks. 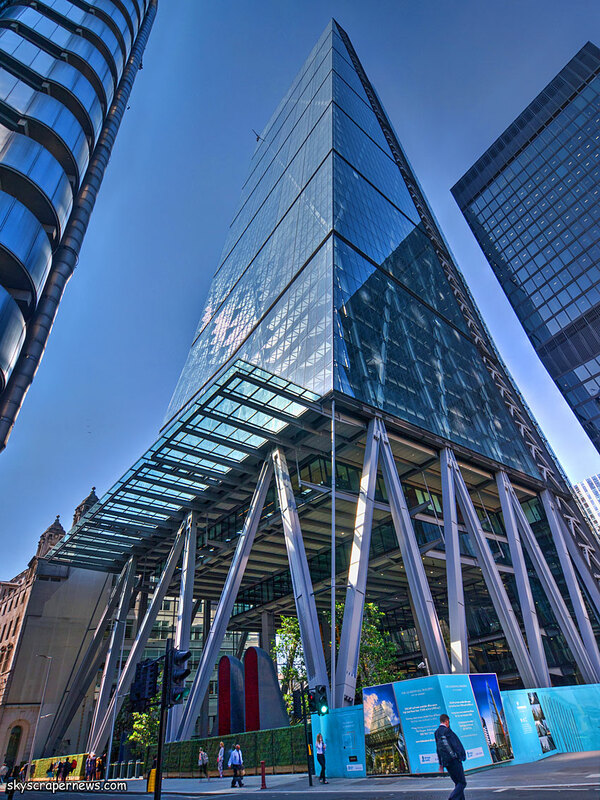 In the mean time, I'll re-open the other Leadenhall thread for general discussions. Someone go and and take photos of the skips. Last edited by Newcastle Guy; December 12th, 2006 at 04:56 PM. The skips are actually driven into the back of the building, into some kind of loading bay. So you actually have to snap them when they drive them out of the building. From the outside of the building not a lot is happening other than a tiny bit of hoarding in the north west corner (behind that hoarding there is a skip into which some big hose discharges some muddy water). I was just lucky this morning to pass when they drove out a full skip and I could talk to the McGee foreman. So, right now some stripping out and prep works in the basement, in Jan and Feb setting up the site (hoarding, scaffold, etc) and further prep works and in March we'll start seeing the building coming down. Dont get involved you! This is our town...we decide when its under construction thank you very much! Get back down your own end ! indeed... didnt i say to make one when its under construction! Cool, even if we wont see cladding or a core for a wee while this is still awesome! Er...no you don´t. Leadehall is not u/c because the current building is starting demolition. One doesn´t have to live in "your town" to understand something that simple.